The molinillo is a traditional Mexican kitchen utensil, that has been used for centuries to make froth in hot chocolate. 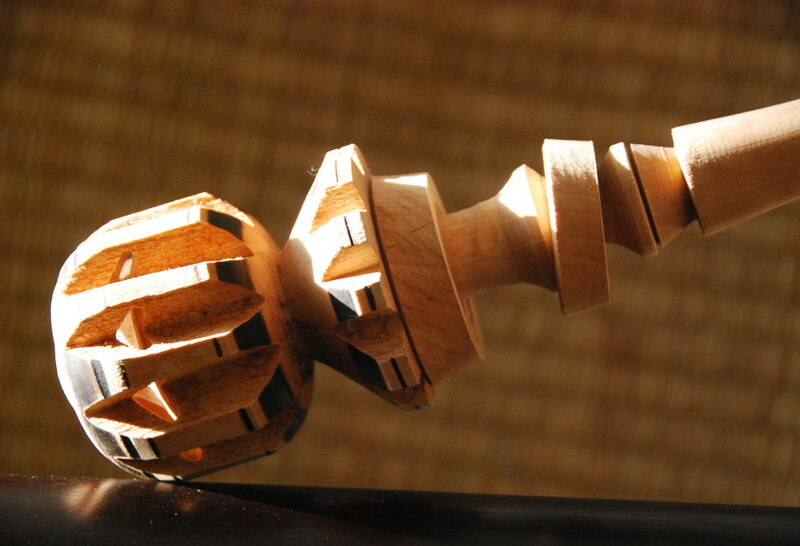 It is made of a single piece of wood. The top part, typically thick and round, has decorations and indentations. A number of loose, movable rings follow. Lastly a round handle that is soft and round making it easy to beat with your hands. All of the decorations, shapes and pieces are made to create the most froth possible. I bought one years ago because I thought is was an amazing piece of craftsmanship. I had no idea what it was for until I saw you use it. I learn something new (more than one thing) from you every time I watch your program! Oh I’m so glad you know how to use it now…and enjoy making drinks with your molinillo, Jacquelene! My grandmother had given me one along with some other fancy wooden kitchen tools . I didn’t know what they were. I wish I still had ithem! I did find one on Amazon for about 9 dollars. Thank you for showing us what it is how do use it. Oh I’m sorry about your grandmother’s tools, but I’m glad you found a new one. $ 1.00, I purchased a very fancy one!!!!!!!!!!!!!!!!! Thrills!!!!! I love mine……..
Wow! Well I’m so glad you found one, Cyno.